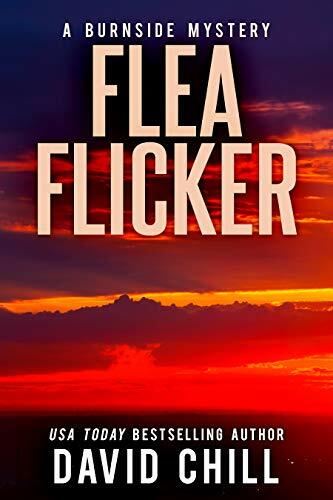 Click here or type in http://geni.us/fleaflicker into your web browser to pick up your copy of Flea Flicker in the Amazon Kindle store. When Charlie wakes from a brutal attack, she finds herself in a strange new world. Desperate for answers, she searches for remnants of the life she had. Who do you trust when everyone seems to be hiding something? Are the answers she seeks the very thing she should be running from? Or is it necessary to walk through hell to see where the truth lies? Click here or type in http://geni.us/brokenmasterpiece into your web browser to pick up your copy of Broken Masterpiece in the Amazon Kindle store. What we’ve been taught of our ancient origins is wrong. Only the apocalypse will uncover the truth. Mankind is thrust into a near extinction event. Billions die off mysteriously, frozen in rapture. One man knows the secret behind it all. He calls himself Ira, but that’s not his real name. And that’s not the only secret he knows. In Washington State, Dean Connors hopes to shelter his family away from the madness. In a moment of violence they’ll be ripped away. Now he’s left hunting through the end of the world to find them. All young Evie wants to find is a safe place. Inside her is a hidden power that may hold the key to salvation. But she’ll be hunted – by those that want to protect her and others who want to possess her. All three of their paths will cross. A journey of tribulation and discovery will begin. 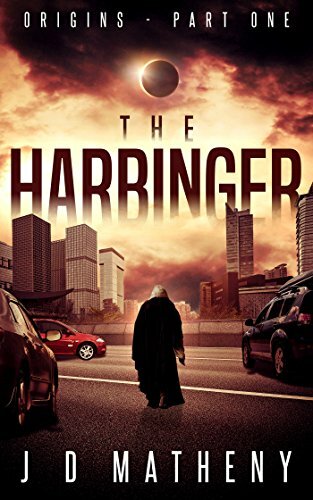 Click here or type in http://geni.us/harbinger into your web browser to pick up your copy of The Harbinger in the Amazon Kindle store. 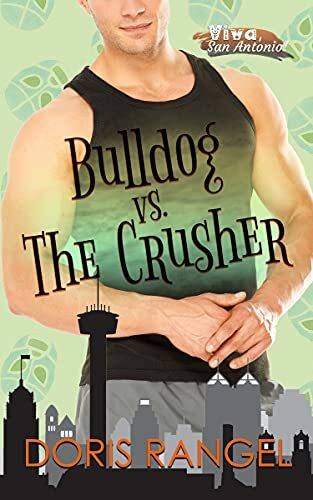 Not only does Trini Moscorro have a drool-worthy body, but he’s an interesting guy, the perfect candidate for Rae Malloy’s human interest column, Viva, San Antonio! Now why, the journalist in her wonders, would a TV wrestling star give it all up to become a high school history teacher and assistant coach? 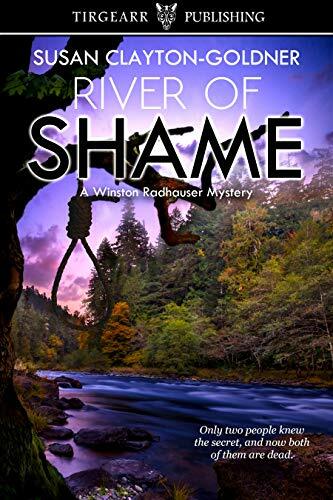 Rae Malloy might be a beautiful woman who calls to him as no woman has in a very long time, but Trini, once the Masked Crusher, wants no one prying into his personal life, especially if it might harm one of his children. Still, Rae isn’t known as Bulldog by her peers for nothing. Digging in her six inch heels and jangling her necklaces, she takes her corner in this battle of wills. Trouble is, the combatants, much to their mutual chagrin, can’t keep their hands off each other and hearts get laid on the line. But Trini has the ultimate defense: his kids. They might be cute and sweet and all that other nonsense, but they’re, well, kids. And kids are Rae’s kryptonite. Click here or type in http://geni.us/bulldog into your web browser to pick up your copy of Bulldog vs. The Crusher in the Amazon Kindle store. Love happens when, where and with whom you least expect it. Police officer Delilah Burke is no pushover. She prides herself on her instincts but when she arrives at the scene of a convenience store robbery she finds herself unwillingly intrigued by the tall dark and handsome perp dressed in a mercenary uniform and armed with fake weapons. Which begs the question – what else about him is fake? 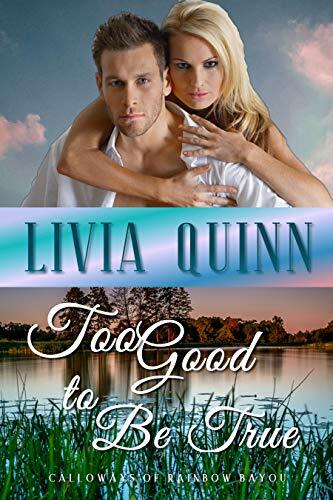 He seems too good to be true but Luc’s huge, surprising family embraces her and when he’s threatened they join in Delilah’s efforts to protect him. Del is falling hard for this hero but can she keep him safe so they can have a future together? Click here or type in http://geni.us/toogood into your web browser to pick up your copy of Too Good to Be True in the Amazon Kindle store.